Grand Central Publishing, 9780446583251, 336pp. YOUNG MONEY is more than an exposé of excess; it's the story of how the financial crisis changed a generation-and remade Wall Street from the bottom up. More info on Kevin can be found at www.kevinroose.com or you can follow him on Twitter: @kevinroose. 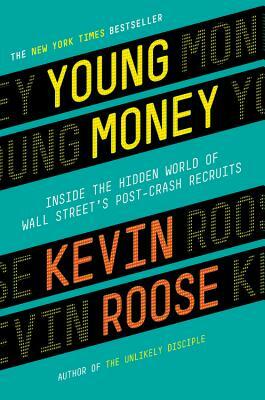 "If Kevin Roose's finely crafted YOUNG MONEY does not scare you straight about the life of a young financial analyst on Wall Street, it can't be done. Roose's frolic through Wall Street's playpen is a must-read." "Despite all the press about Wall Street, the stories that don't usually get told are those of the recent college graduates who clamor for the chance to work 100 hour plus weeks at the big banks. Kevin Roose's new book, which follows a handful of analysts through the trials and tribulations of their early years on the Street, is a thoughtful exploration of their motivations and their experiences-and it's a great read." "A cautionary true-life tale, YOUNG MONEY should be required reading for every college student who is contemplating a job on Wall Street. As for the rest of us, who remember Wall Street before 2008, Kevin Roose has provided a great window into how that world has changed-and how it hasn't." "Highly entertaining and impressive ... Roose's captivating read is sure to appeal to readers young and old who are interested in the zeitgeist of Wall Street since the crash." "[Young Money] offers a compelling glimpse of Wall Street in the post-2008 recession era...thought provoking, excellent book."